Every holiday should have its own designated Sangria, right? This Christmas Sangria is tart, yet has a hint of sweet and has Christmas written all over it with the beautiful red cranberries and a sprig of fresh Rosemary. 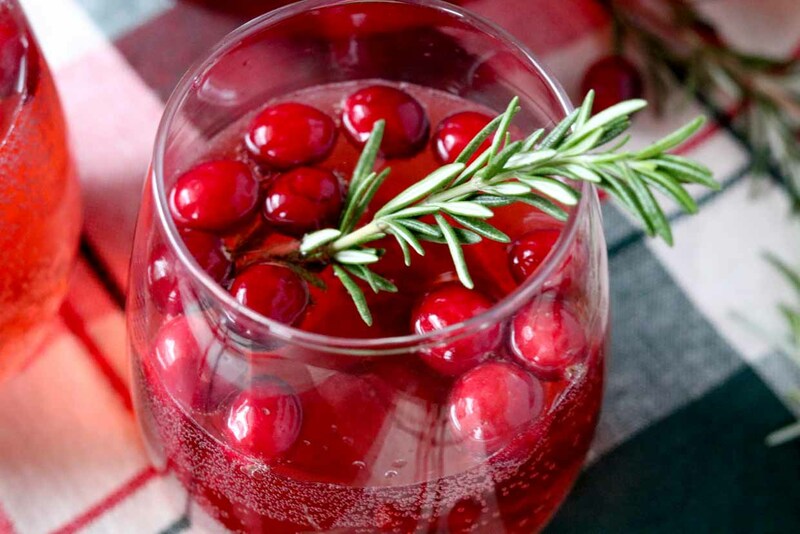 The Rosemary is the perfect touch, bringing a Christmas aroma while you sip on the Sangria. 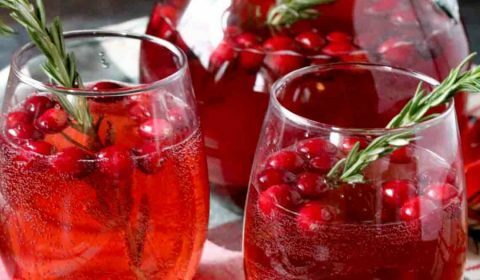 This Christmas Sangria also has a hint of bubbly to it with the Ginger Ale. 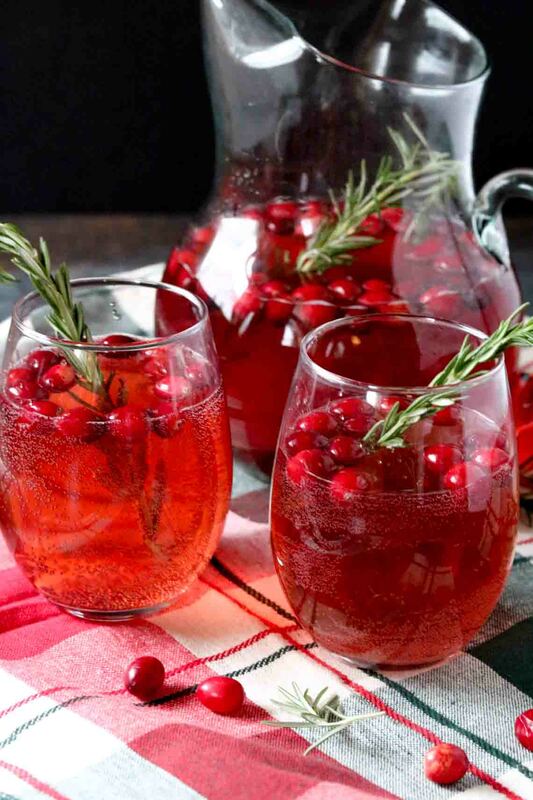 The Pinot Grigio and unsweetened cranberry juice perfectly balance the sweetness of the Ginger Ale. 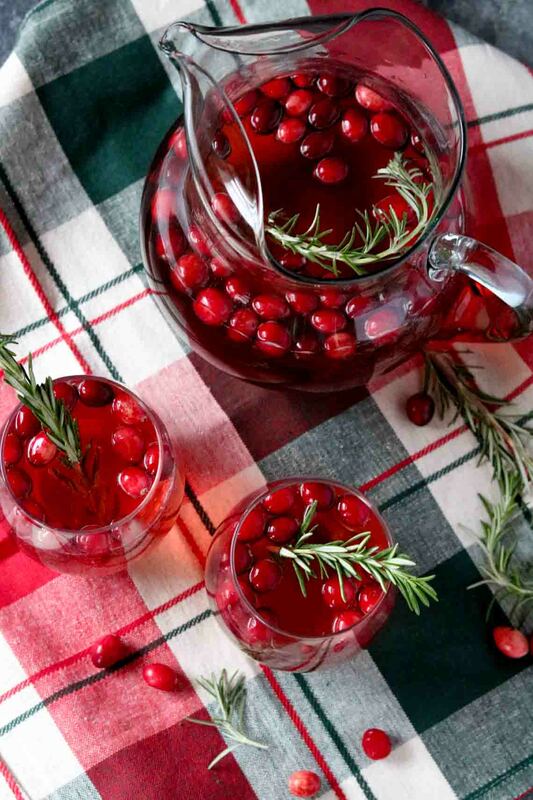 Sip on this Christmas Sangria while wrapping presents, or maybe while sitting in front of the fire on Christmas Eve. Sounds so peaceful, right? Or sip on this while the kids are running around screaming and your in-laws are staying for the holiday weekend. Whatever the situation, this drink will bring you peace and joy. Ha! Add all liquid ingredients to a large pitcher and stir. Add in fresh cranberries and keep chilled until ready to serve. Garnish each glass with a sprig of fresh Rosemary.